This means at least the following; a) Expounding the glorious plan of God, called the Gospel of Christ. (Romans 10:15.) b) Contending for the faith once delivered unto the saints. (Jude.3;) c) Feeding the flock of God . 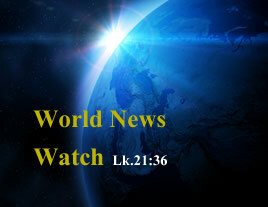 (I Peter.5:2; Ephesians 4:11-14) d) Helping to re-unite God’s elect, wherever they may be, all around the earth. Given the prophesied condition of the churches, (10-wise/10-unwise virgins) See also Rev.2-3; We stand ready to help all those beloved of the Father who may be scattered, alone, or not being spiritually fed the word of God. One of the other primary objectives at this time, is to Promote the one-true holy and sacred feast day Calendar of The Eternal God, the festivals, and annual Sabbaths God commands, (Leviticus.23;) and intended us to use, without postponements…….to name a few. 1Co 5:8 Therefore, let us keep the feast, not with old leaven, (SIN) neither with the leaven (SIN) of malice and wickedness; but with the unleavened bread of sincerity and truth. God’s church will provide a safe and caring environment in accordance with scriptural guidelines for all of its members and ministers, the beloved of God, while encouraging them to seek out the truth and prove all things (I Thess. 5:21) with us as members of the body of Christ, the one true church of God in this era. God’s Elect Worldwide has seen that a few of the major churches are using harsh tactics to gain proselytes. This is not only not scriptural and reprehensible, but evil in the sight of God. See II Corinthians 4:1-2; 2:17; I Timothy 3:3. Our whole focus is teaching the whole Word of God with the one true Gospel of Jesus Christ, the coming kingdom of God, Mt.6:33; while being fellow-helpers of your faith, joy and unity with God The Father, through Jesus Christ. See III John.4-6, 8; Colossians 2:2. As with God’s Elect Worldwide members, new members and ministers are encouraged to be open and honest with each other and provide support to those in need as fellow labourers together in the gospel of Christ. See I Thessalonians 3:2; Philippians 4:3. Due to long held and taught errors, the ensuing confusion has permeated the vast bulk of the churches! Matt.22:29 Jesus answered and said unto them, Ye do err, not knowing the scriptures, nor the power of God. What was this in the context of?? The resurrections that religious peoples “know” NOTHING about! Mark.12:27 He is not the God of the dead, but the God of the living: ye therefore do greatly err. Mark.12:23 In the resurrection therefore, when they shall rise, whose wife shall she be of them? for the seven had her to wife. Mark.12:24 And Jesus answering said unto them, Do ye not therefore err, because ye know not the scriptures, neither the power of God? Mark.12:25 For when they shall rise from the dead, they neither marry, nor are given in marriage; but are as the angels which are in heaven. 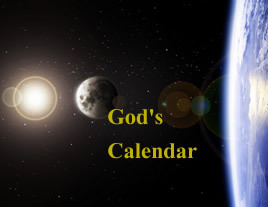 This is another important commission of God’s church at this time, to specially focus on God’s One-True holy day Calendar, the feasts of the LORD. Not New Knowledge, Restored Knowledge. God’s church realises that many members of the churches of God have never been taught or exposed to this restored knowledge and teaching, and that the issue can be somewhat confronting, initially, as anything “NEW” can be, though it is not new knowledge. 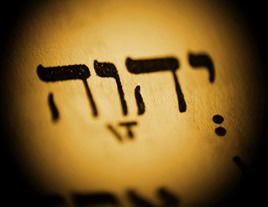 God’s Law in the books of the Law, clearly command God’s people when, and how to come to these days. Not in accordance with Jewish traditions, which Jesus Christ condemned, even telling ‘them’ that many were “worshiping” him in vain, teaching for doctrines the commandments of men making the word of God of “no-effect”! Mark.7:7-13. Oh yes, many “say” the worship God, saying praise you the Lord, and such like, honouring him with their lips, Vs.6; but their hearts are FAR from him! God’s church endeavours not to name and shame, or criticize churches, unlike many church of God groups which seem more focussed on others activities than their own. As such, it is the many that Jesus said would BE called, but only the few that would be the chosen, the elect, and the REST were blinded! See Rom.11:1-7. Though we know there are many corrupt teachers as God’s Word forewarned of that would deceive the church the last days. 2Tim3:7 Ever learning, and never able to come to the knowledge of the truth. True yokefellow of Christ, and brethren of God, the apostle Peter also likewise foretold of those who deny truth and God’s Law. Truly, we seek all those begotten and called of God! We therefore seek-out the meek, perhaps lost, certainly who truly love the Word of Truth, that are prepared to forsake ALL-THINGS for the Gospel, and for their Genuine Faith of Christ! A Call To Hold-Fast and Re-unite before it’s too late, and the Lord shuts the door. He is surely knocking if you have ears to hear, and eyes to see.